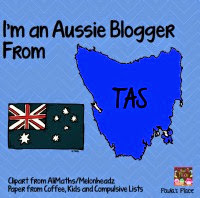 A fabulous Aussie blogger is hosting her very first giveaway! Show some bloggy love to Stefanie and hop on over to check out her giveaway! I am contributing 1 item from my TpT store and there are some other fabulous prizes to win as well. Don't forget you can help out teachers who have felt the brunt of Hurricane Sandy by donating a product of hard goods. Laurah is doing a wonderful job of organising this fantastic resource drive. Well I have just finished 2 job applications for 2013 and have come down with a cold so feel very low and hope that my applications were literate and made sense, time for a nana nap. Good luck with your applications! What state will you be teaching in? Good luck with your applications - and I hope you feel better soon! feel better Tania! Good luck with those applications-I know it's not fun. Good luck with your applications, Tania. I hope you are feeling better soon.